Don’t be haunted by colorful frosting or icing stains this Halloween. 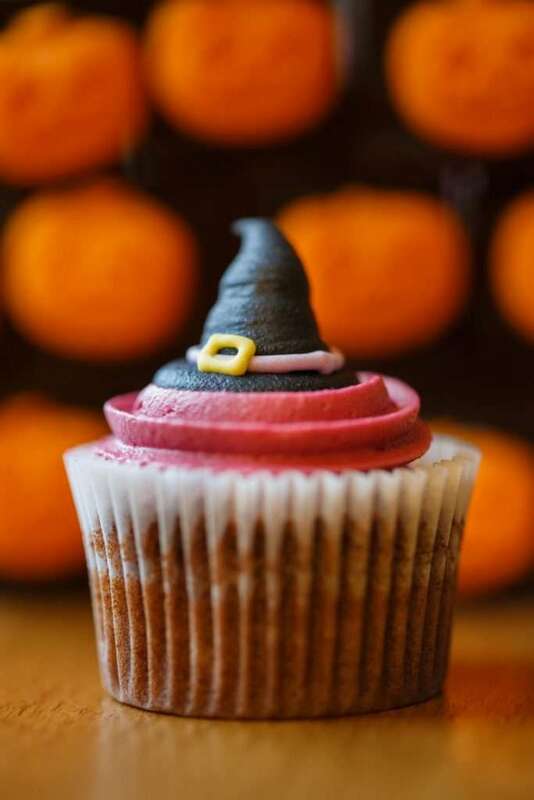 Some of the best Halloween treats are not candy, but the freshly baked cupcakes, cookies, etc. decorated with fun Holiday characters and colors. One of the tastiest parts is the brightly colored icing, but if the icing ends up on your clothes, carpet or upholstery it can be frighteningly alarming. Food coloring and the fats and oils in the frosting are tough foes to fabric, but there is no need to fear the possibility of a permanent stain with these cleaning tips. Simply treat the stain as soon as possible with these cleaners and you can move on to being spooked by fun holiday activities, not calamities. Washable Clothes– for clothes you can stick in the washing machine you want to start by removing as much icing from the surface as possible. Gently scoop as much frosting from the clothing with a spoon or other blunt edge object as possible. It is habitual to grab for a napkin or towel to remove the frosting, but this can cause the stain to spread and get pushed deeper into the clothing fibers. Once the item of clothing has been removed from the body wearing it, run it under cold water with the opposite side of the fabric closest to the water. This helps to push the stain back up to the surface. After rinsing apply a pre-treatment to the spot, since most icing is made with butter or an oily fat you want a stain remover that will target an oily stain. We recommend a color safe oxygenated bleach cleaner. Let the pre-treater soak into the stain for five to fifteen minutes and then launder as normal. After the garment has gone through the wash check the spot where the stain was to ensure it is completely gone; you do not want to dry it unless the stain has been completely removed. Drying can permanently set in a stain. If the stain remains, spot treat and launder again. Dry-Clean Clothes- with dry clean only items you want to be very careful with the amount of liquid that comes in contact with the garment. Start with scooping up as much frosting as possible like with washable items, but then grab a clean white cloth or plain white paper towel, dip it into water, and gently blot as much of the stain as possible. If you plan to use a home dry cleaning kit make sure to use the special spot treatment in the kit. If you take the garment to a cleaner don’t forget to point out the stain. Also get the item to the cleaner as soon as you can don’t wait until you have a large pile of garments to bring in. The spot treatment method for both carpet and upholstery are the same. First, you want to remove as much icing from the area as possible with a spoon or other dull object. Once most of the icing is removed blot the stain with a clean damp rag or plain paper towel. If any of the stain remains mix a solution of two teaspoons hand dishwashing soap and two cups of cool water. Dip a new clean cloth or paper towel in the solution and blot the stain gently working from the outside in. When cleaning upholstery, be very careful with the amount of liquid used. Once the oil/fat stain from the frosting has been removed rinse the stain with fresh water to ensure no soap residue is left behind. If you have some food coloring remaining after your spot treatment efforts, mix equal parts hydrogen peroxide and water and blot the area. If you have never used hydrogen peroxide as a spot treatment on the carpet or upholstery that is stained you will want to do a spot test first in an unseen area as hydrogen peroxide can act like a bleaching agent and remove the dye in your carpet or furniture. Allow the area to dry away from light and heat. Once the area is dry vacuum it to lift/re-fluff the fibers. For stains that just won’t come out, you will want to call a professional cleaner. For the best professional upholstery and carpet cleaning in Bothell and surrounding cities make an appointment with All Kleen.